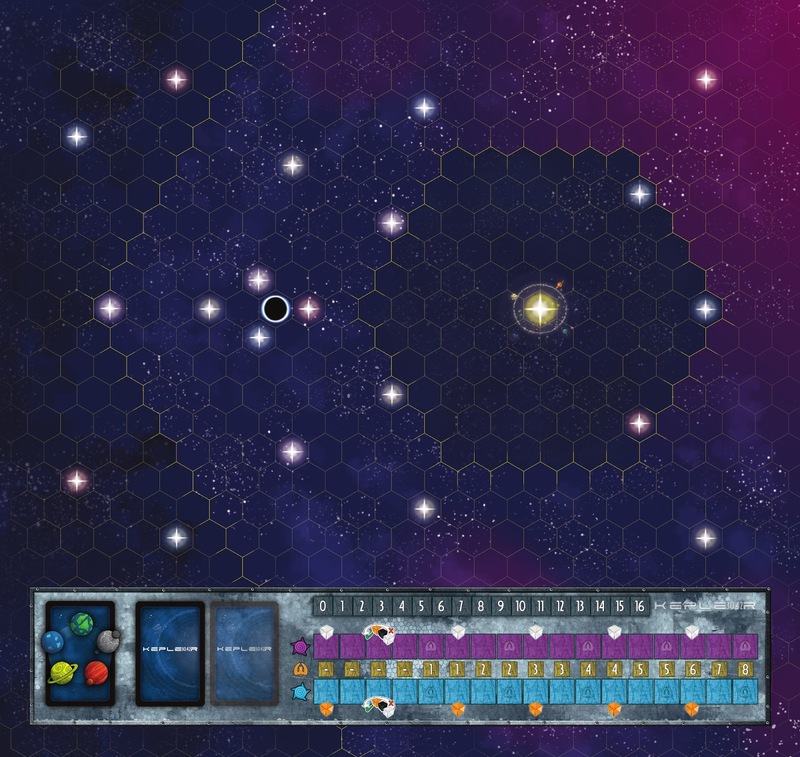 Placentia Games: Mock ups available! How did you spend the May 1 weekend? We prepared mock ups all the time! The Kepler-3042 project is becoming more and more concrete and touchable. Now it starts looking like the final product we have in mind! Of course it will be improved a lot: the Celestial Object tiles, the main board and the players' ones (actions and technologies) are very near to the final version, thanks to the work of Alan D'Amico and Paolo Vallerga. 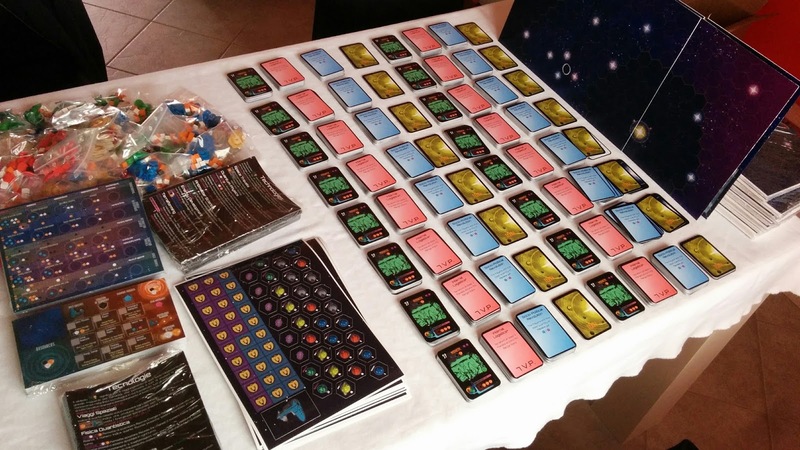 Cards, starships and players' handbooks not yet, but we are proceeding also with them! We are very satisfied about the graphic, and we are sure the final result will be as good as for Bretagne. And now, an announcement for bloggers! The first boxes for the bloggers with whom we are already in contact departed this morning, but we prepared some more, so if you are interested, please contact us at info@placentiagames.it and send us your address. The only thing we ask you is to try the game in short time, then you will decide if you want to write a review or not: we want sincere and spontaneous opinions. After all, we are sure that Kepler-3042 is really an excellent product, but we still have time to improve it, with your feedbacks.